Inspired by the famous “REMADE IN SWITZERLAND” fashion collection developed for Victorinox by British designer Christopher Raeburn in 2011, I.N.O.X. 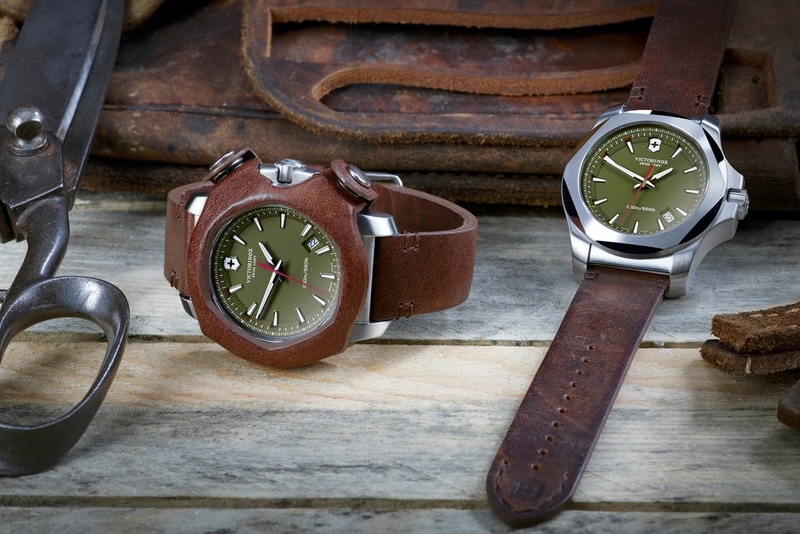 is adopting recycled military leather for a limited edition of just 250 timepieces. 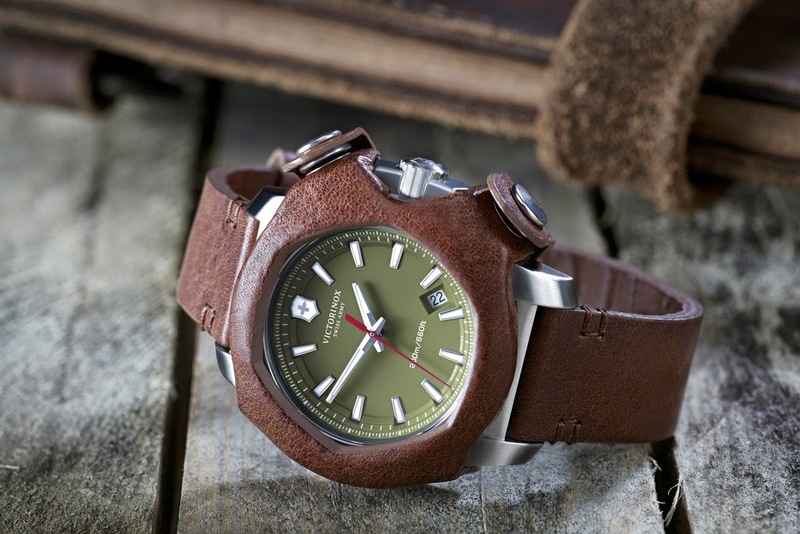 Victorinox Swiss Army has chosen to honour this REMADE IN SWITZERLAND collection with a limited and numbered edition of its I.N.O.X. watch, a timepiece of extraordinary resilience. This model, limited to 250 timepieces, features a leather strap fashioned from a stock of Swiss Army military bags dating from the period 1911 to 1970. Renowned by collectors for its incomparable quality, this vintage, vegetable-tanned leather with a beautiful patina offers unprecedented resistance despite its age, which can sometimes exceed 100 years. A removable protective bumper that can be attached to the watch case has also been created. Cut out of the same leather, the bumper’s opening over the dial follows the contours of the trademark bezel design of I.N.O.X. Since each strap and bumper originates from a different bag or cartridge belt, every one of the 250 pieces has its own unique colour and patina. In a further mark of their individuality, each of the 250 pieces will be numbered.